At Colors, we do it differently. We believe that an amazing consultation is the key to that perfect result and ultimately determines what suits you. In an interactive conversation involving your face shape, skin tone and style personality, we customize a look and plan especially for you. Our goal is pretty obvious. We want to make you look and feel great, and we aim to exceed your expectations through a very relaxing and enjoyable experience. 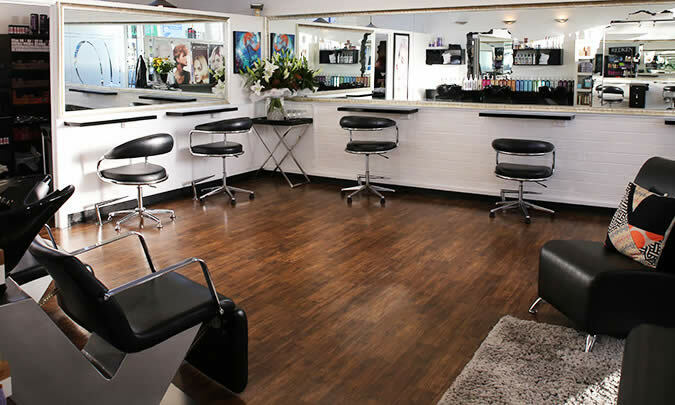 Our stylists are highly qualified and committed to ongoing industry training to ensure they are keeping up with the latest techniques and trends. So what are you waiting for? Enter the world of Colors and let us work our magic! Call us for a complimentary consultation. We look forward to meeting you. We specialize in corrective coloring. My friends call me DJ. With 42 years in the industry I have loads of experience to share. I clearly love this profession. Ever changing and exciting, that's what keeps you interested. I spend half my time on the floor with customers and the other half working on the business. I was the Education Development Manager/Technician for Redken for 7 years, travelling, training hairdressers and facilitating courses. I have also been the evaluator for Redken's international color qualification, so I adore color corrections and any challenge you can throw at me. I live in Hamilton with my two Burmese cats. After working for a big corporate for years, I wanted to get the work/life balance thing sorted. Hence we are only open 4 days a week. I think it is so important in life and wanted my staff to enjoy that too. We also want to be an inspiration and example to other businesses that it can work. Hi I’m Donna. I have been working at Colors Hair Company for 6 years. I did my apprenticeship here and qualified as a Stylist. I have a gorgeous 2 year old boy now so I work only part time. I love coming in and helping the team when they need me… It’s always busy and buzzing. I predominately do a lot of color work when Im there. Come in and meet our team. 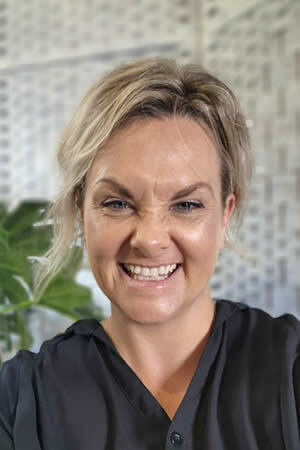 I'm a Waikato girl who has always known I wanted to be a hairdresser. I used to go to the salon with my mum and nana when I was about 7yrs old and they would let me sweep the floor. At 15yrs old I helped out part-time in a salon then started my apprenticeship when I was 16yrs old. Six years in the industry I've become fully qualified and I'm so excited to join the team at Colors! Working as a hairdresser has opened my eyes to so many different aspects of hairdressing that I've fallen in love with. I love blondes. You can do sooooo many things with blondes – balayage, foils, ombre, cool/neutral/warm, shadowing, freshened ends, and all the way to low maintenance blondes. No surprise I've been a blonde for 3 years! I love hot tool styling too, wands tongs and irons, give me a special occasion and I'll give you special hair. If you want curls I'm your girl. At the end of the day I love what I do so come in and surprise me. I can't wait to meet you all. On my days off you'll find me out with friends and family enjoying a good cup of coffee and a nice meal or walking Nismo (choc lab cross) through the beautiful New Zealand bush walks or dog parks. Hi I’m Kylee. 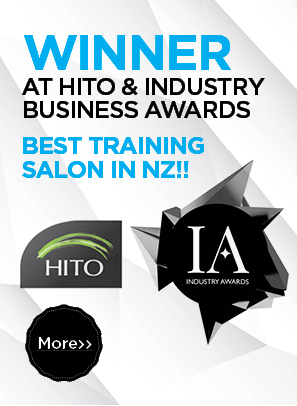 I grew up originally in Auckland where my hairdressing career began at the age of 14. I came home from school one day and my mother said to me “Kylee, you have a job in your cousins’ salon and you’re starting tomorrow”. You can imagine my surprise! So, I guess you could say I fell into this career. I did my apprenticeship and qualified in 2008. While loving hairdressing, given it’s a people industry, I’ve always been fascinated about what makes human beings tick. So for the last eight years I have been studying psychology while working part time in a salon. I am currently finishing off my masters. Since starting at Colors my passion for hairdressing is greater than ever before. I love learning new things and the fact that we do so much training here is amazing. We have a photo shoot coming up and I feel I can really unleash all my creativity. I am a full time senior stylist with Colors Hair Company. I enjoy all aspects of hairdressing but have a special interest in creative work and razor cutting. I look forward to meeting you all. I am married with a gorgeous teenage daughter. 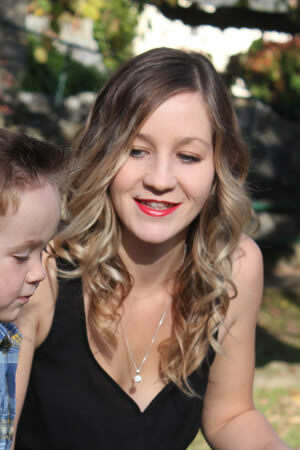 My time off is either spent studying or hanging out with my family, having barbeques, enjoying a wine and a good laugh. I always wanted to be a hairdresser and my career started back in 1989. I was managing a salon in the late 90's and ended up buying it in 2003. I owned Obsession Hairdressing for just over 10 years. I had a blast during that time and worked alongside some of Hamilton's finest stylists and gained many lifelong clients and friends. In 2014 I ended up closing the business to get a better work / life balance. 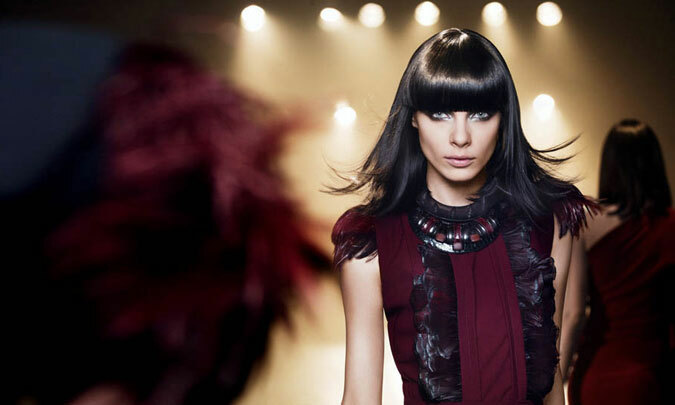 I have worked 85% of my career with the Redken brand and absolutely love the products. They really do look after the hair and is one of the reasons I have come to be at Colors Hair Company. I specialise in everything- men, women, color, perming and hairups so you can throw anything at me. I'm breezy, fun to be around and with a couple of years of industry experience to stay AHEAD of the game without being a dinosaur!! In my spare time family and friends are really important to me. You can sometimes find me in the garden or I am pretty partial to a drop of red wine. I look forward to seeing you. HI My name is Ceasara Burke and I am Colors Hair Company's newest apprentice. I'm Waikato born and bred. I wanted to be a hairdresser because I believe it fulfils my creative side. I love designing things and coming up with new ideas. My favourite part of hairdressing so far is playing around with hair-ups and helping the seniors with their colours. I love seeing outcomes and how happy people are with their new style. In my free time I love to relax with my friends and hit the beach, usually that's Whangamata. I'm so excited to get my apprenticeship finished and be the best hairdresser I can possibly be. My name is Michael. I've grown up in Morrinsville and come from a big family. I have 6 other brothers and sisters. I'm pretty sure that's what has made me such a sociable guy. I started off at Colors Hair Company doing work experience when studying at Wintec. Walking into a predominantly female environment didn't phase me at all as I have worked in a number of cafes previously. I charmed my way into the girls' hearts and they offered me an apprenticeship. 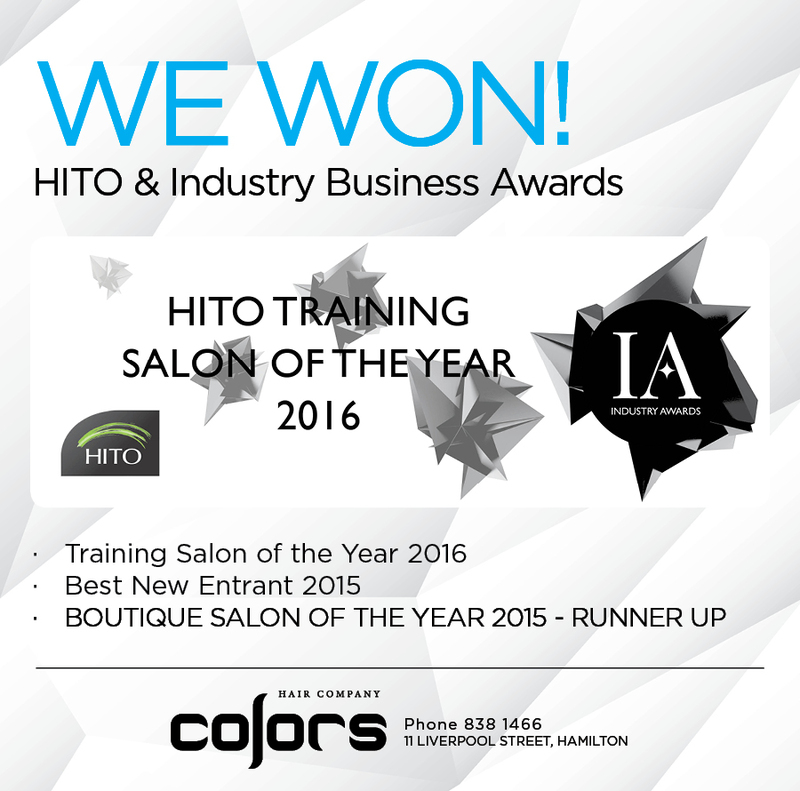 I am now one of the apprentices here at Colors Hair Company. I have begun to get the feel of cutting and really enjoy being involved with colour work and getting to know the clients. One of the things about me is I believe there is no point in doing anything unless you do it properly. So I'm never going to be an average hairdresser. I want to be the best I can be. I will continue to thrive and enjoy this life long journey. I am a laid back guy who likes to relax in the weekends by having a drink with friends and watching a good movie with a laugh! I look forward to meeting new clients and getting to know you all! 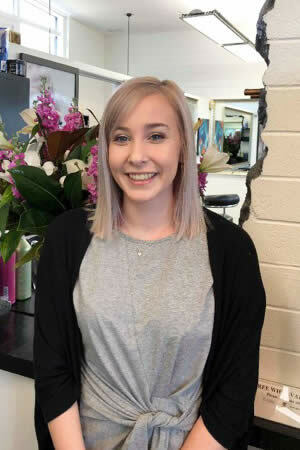 My name is Shianne, I started my hairdressing career in Hamilton 9 years ago. 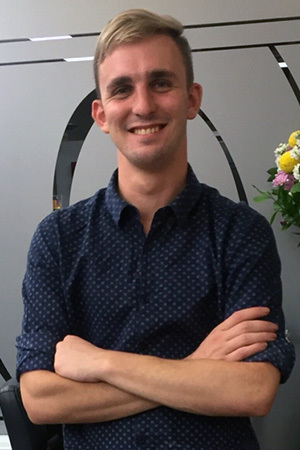 I have spent the last 4 years travelling and working in Australia and London. In between I've been travelling the world when I get any spare time. It's been amazing .But at the end October I'll be back with a whole new set of skills, ready and excited to share them with you here at Colors Hair Company. My favourite part about hairdressing is colour. I believe the right colour can do a lot to compliment a person and by taking your skin tone, eye colour and even personality into account we can find the perfect shade to suit you, Its' an art form and I love it! 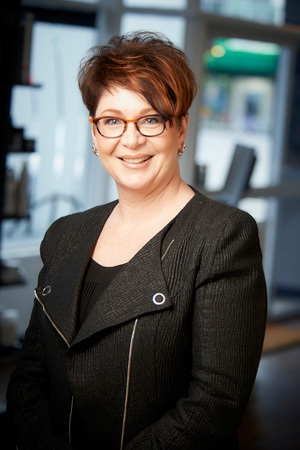 Redken Laboratories was founded in 1960, a company built from the inspiration of a dynamic, entrepreneurial American actress named Paula Kent. Frequent chemical services and style changes were routine for any aspiring actress of her day, but Paula was extra sensitive to many of the products used by the hair-dressers and make-up artists. She felt continually frustrated that no one could explain why the products were irritating. 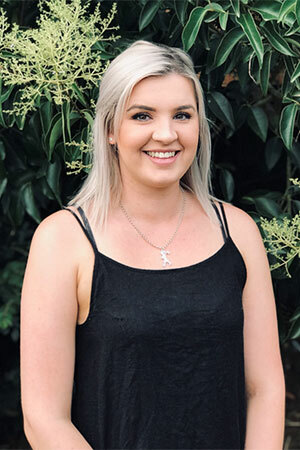 Necessity is the mother of invention, and Paula realized that working with professional hairdressers, she could help millions of other people also wanting high performance products that were gentle. 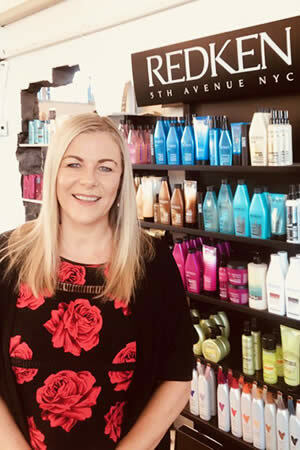 Paula Kent and her hairdresser, Jheri Redding (thus the name "REDKEN") began with three products and an intensive education program for hairdressers about the chemistry of hair and skin. Beginning in 1960, Redken revolutionized the profession-al salon business by introducing the concept of protein reconditioning. Based on evidence that hair is composed primarily of proteins, and can absorb topically applied proteins, Redken developed new protein based products. Salons were suddenly able to condition hair internally and for the long-term rather than solely camouflage damage. Our commitment to formulate scientifically superior pro-ucts for the global salon community continues, and as we forge ahead in the millennium, our awareness of fashion, street trends and modern hair needs will only enhance our scientific strength. talked to you about your face shape? used skin tone cards to determine whether you were a warm, cool or neutral before they colored you? looked at you from top to toe, considered your style, and then made suggestions for your total look? We do all of this and in a fun friendly professional environment.